This tower also was named as Kathrine Godmother and Mutton prison. This magnificent fortification was built in 1547-1550 by Hans fon Bergen as barbakan. 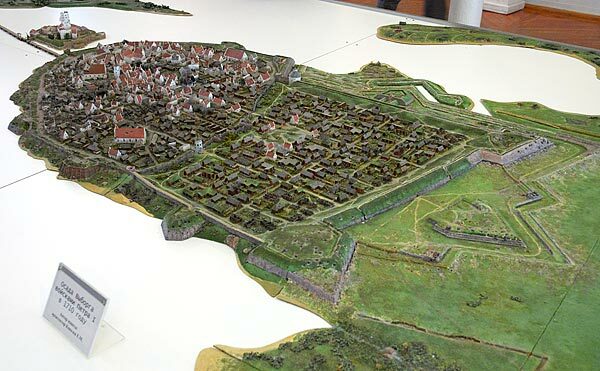 It was located in front of city walls and connected with Karjaportti (Cattleyard Tower) by covered gallery. It's diameter is more than 21 meter. It was used as a mill warehouse, arsenal, debtor's prison in peaceful times. In 1861 it was transferred to city magistrat's disposal. 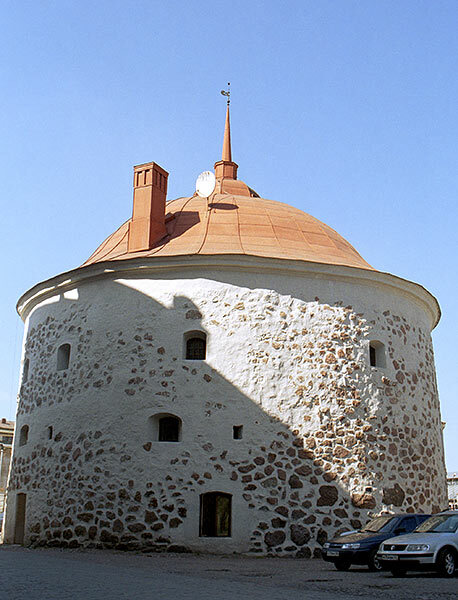 The tower was reconstructed to the restaurant of Vyborg's Technical Club by famous Finnish architect Uno Ulberg. After the WWII the drug store warehouse was in there and in 1976 the restaurant was opened here again.